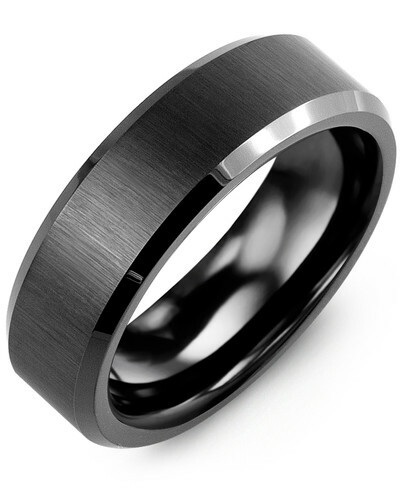 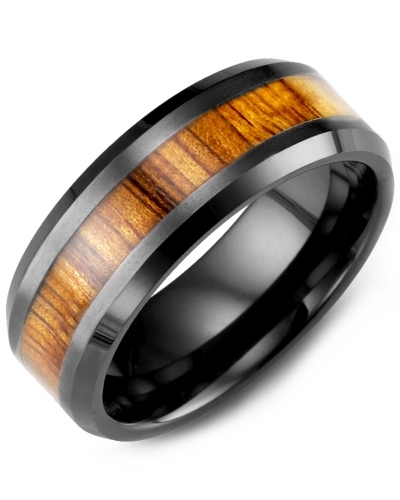 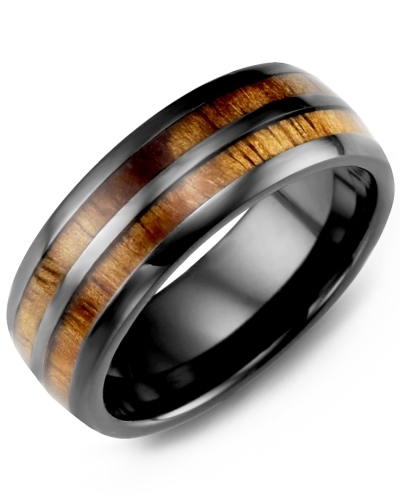 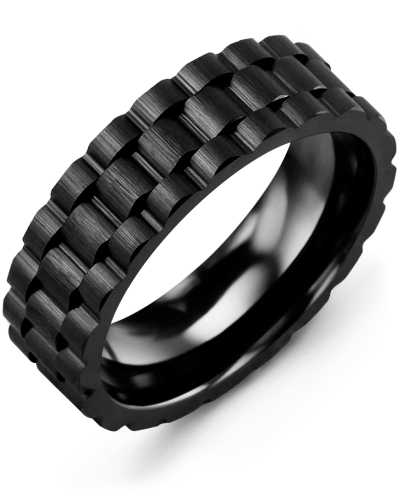 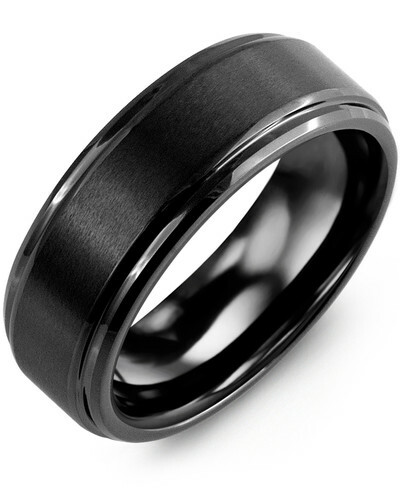 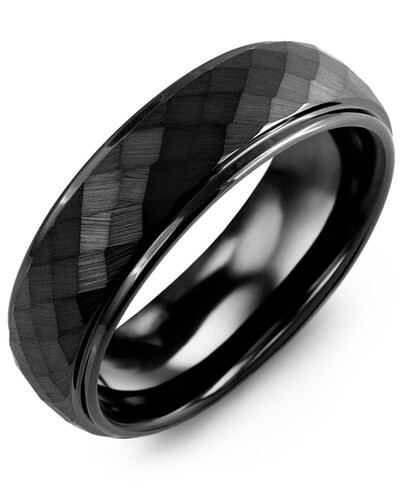 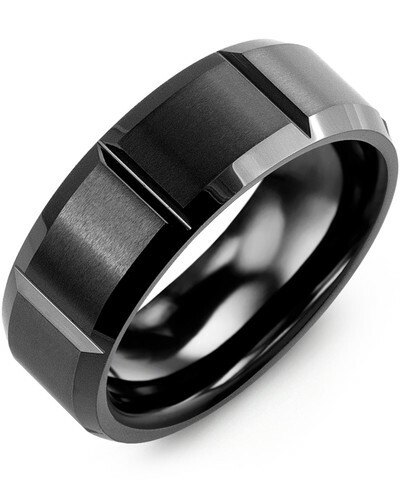 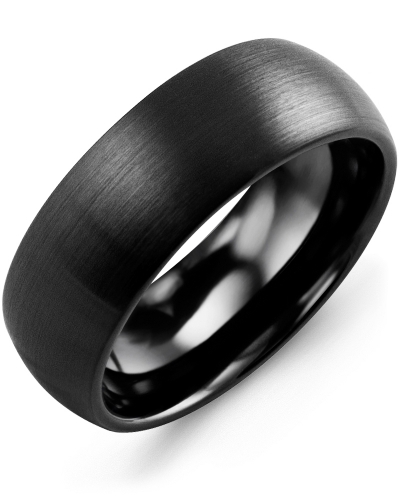 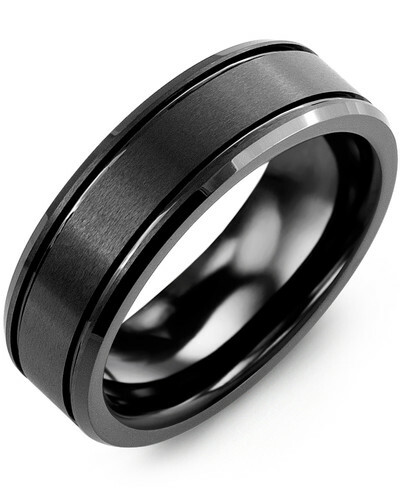 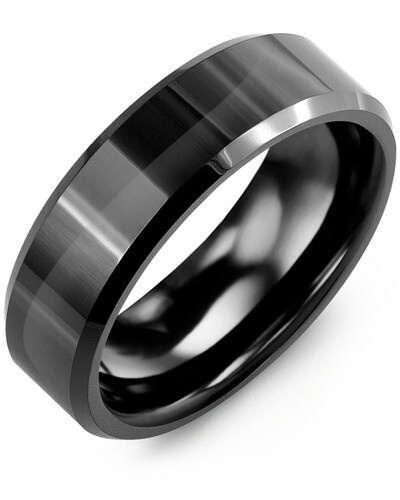 MGZ - Geometric Design Tungsten Ceramic Wedding Ring With its smooth profile, intricate detailing and contrasting insert, this 8mm High Polished Tungsten Ring for Men with Graphite Grey Ceramic Inlay is a stunning piece of jewelry. 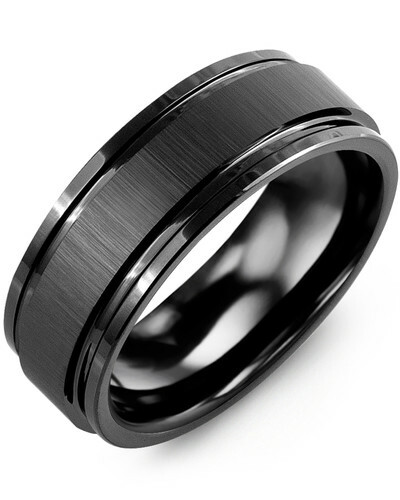 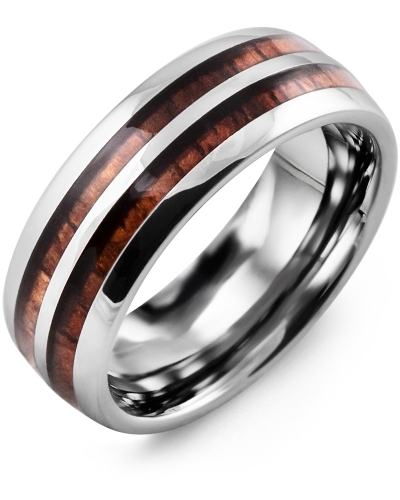 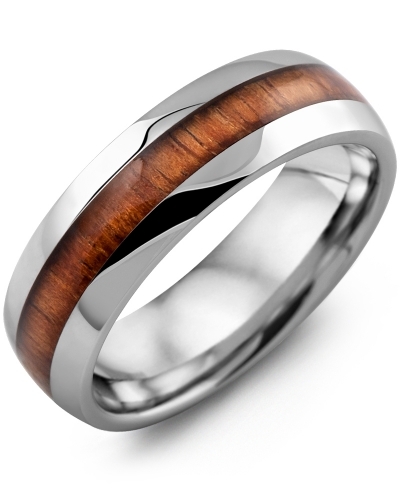 A clever combination of modern materials, this multi-dimensional tungsten and ceramic ring for men oozes sophistication and contemporary style, making it the perfect choice for the fashionable man. 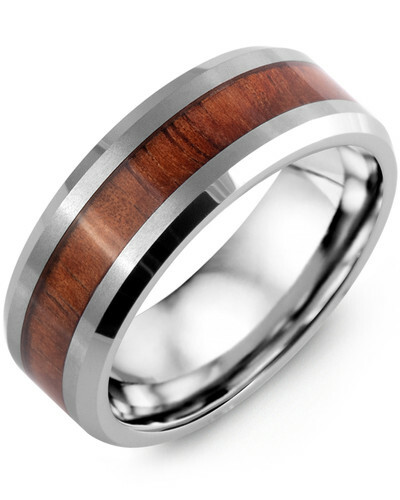 For a personal touch, engrave the inside with the text of your choice. 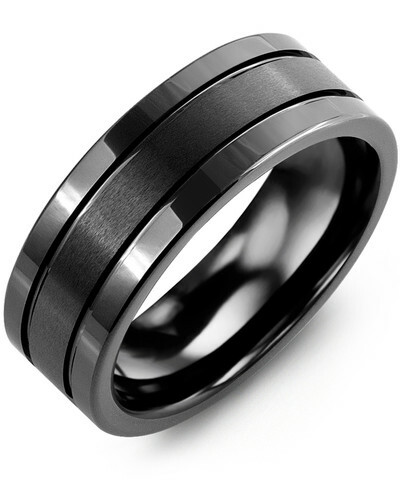 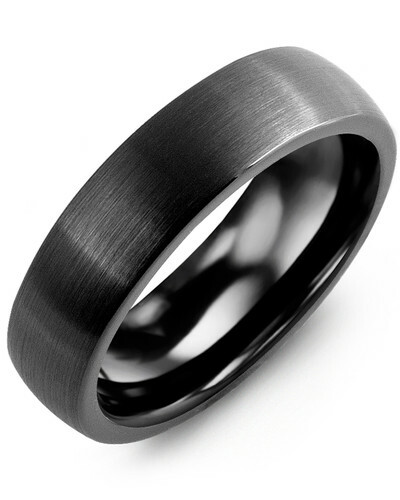 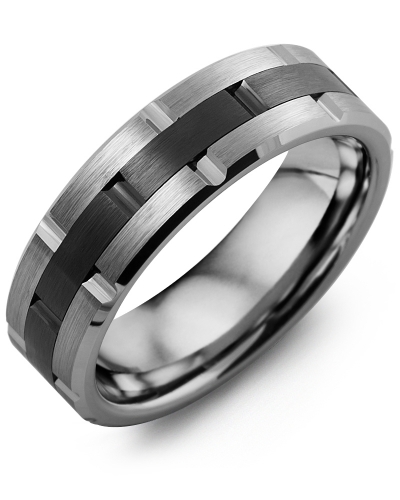 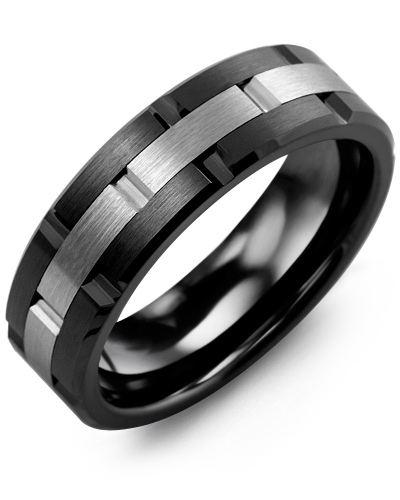 With its smooth profile, intricate detailing and contrasting insert, this 8mm High Polished Tungsten Ring for Men with Graphite Grey Ceramic Inlay is a stunning piece of jewelry. 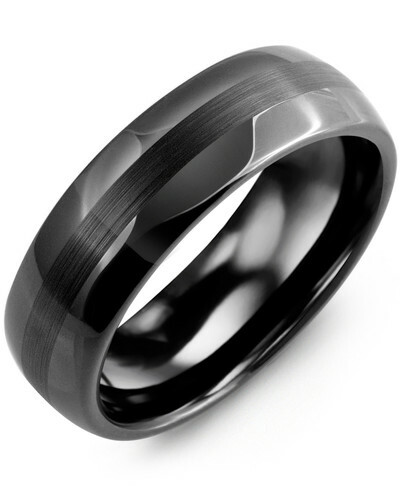 A clever combination of modern materials, this multi-dimensional tungsten and ceramic ring for men oozes sophistication and contemporary style, making it the perfect choice for the fashionable man. 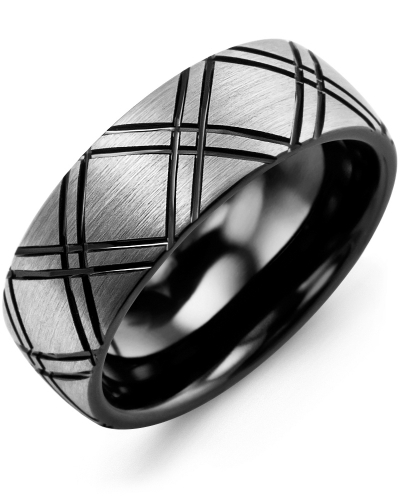 For a personal touch, engrave the inside with the text of your choice.